Not every boat improvement project needs to involve large purchases, multiple trips to the hardware store, and days of work. Moved the Magma grill from the cockpit to the flybridge. This uncluttered the starboard side of the cockpit which is where we board and disembark at our home slip. Added cut up sections of an old hose as chafe protection on our bow lines. Swapped the fender racks from inboard to outboard. At the cost of a theoretical increase in risk of losing a fender, we gained much better traffic flow to the foredeck and back. 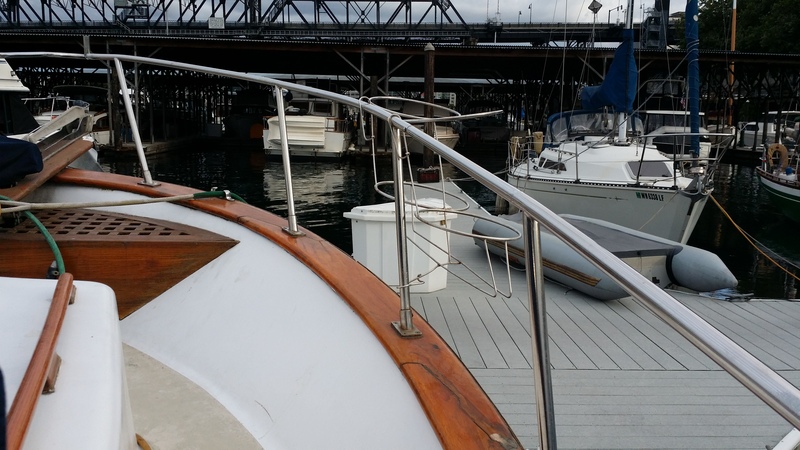 Plus we have plans to install permanent fenders and docklines at our home slip, so it wouldn’t be the worst thing to clip/tie/attach the fenders in the racks to the railing for more secure storage.